One Portrait, Four Generations, Countless Memories. You are here: Home / family-portraits / One Portrait, Four Generations, Countless Memories. ‘I photographed Mum and Little Sofia (and Dad too!) back when she was just two weeks old, back in 2011 at our Karrinyup photography studio. I was delighted when Adriana called up to say that she wanted to come back for a portrait with Sofia and her Nonna and Bisnonna. That being, Grandmother and Great Grandmother for the non Italian speakers, like me. 🙂 It was to celebrate a significant milestone birthday for Great Gran, and being a gentlemen, I would never divulge which one. I am not sure I even believe the age she told me she was… there is something to say for good genes!!!! I am very proud of this image, and very honoured that I was entrusted to create what will be immeasurably valuable to Sofia when she is older. Thank you for the beautiful photos!! We were so impressed with the result and my Nonna was especially happy about it, which is fantastic. 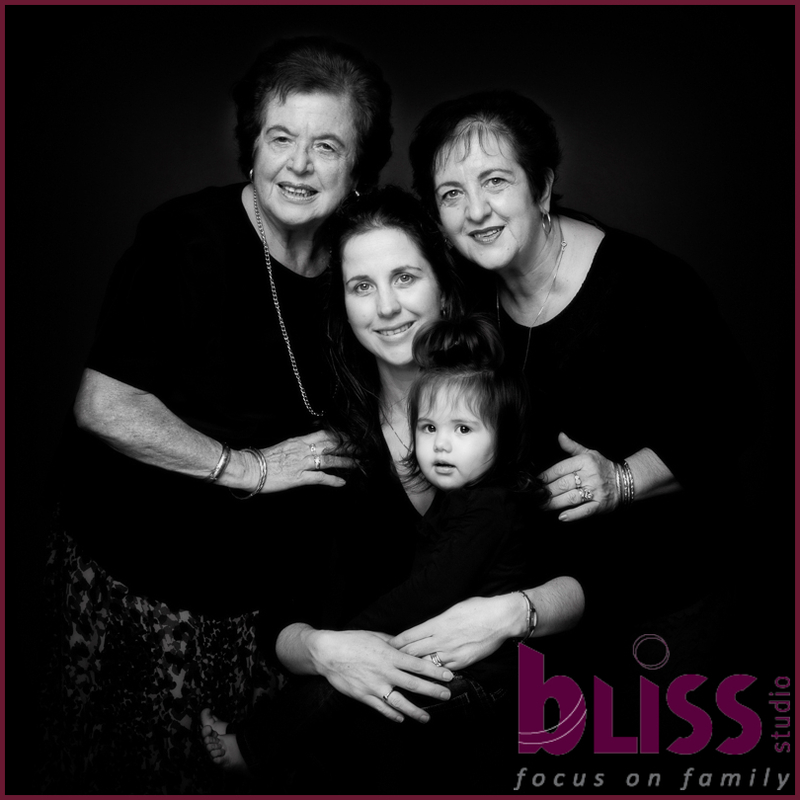 I can’t recommend Bliss Studio to people enough!! The studio session was fun, professional and non-intrusive and they are so patient and really do cater for the little ones, so your children are comfortable and happy during the session. Thank you!! 🙂 Adriana and family.